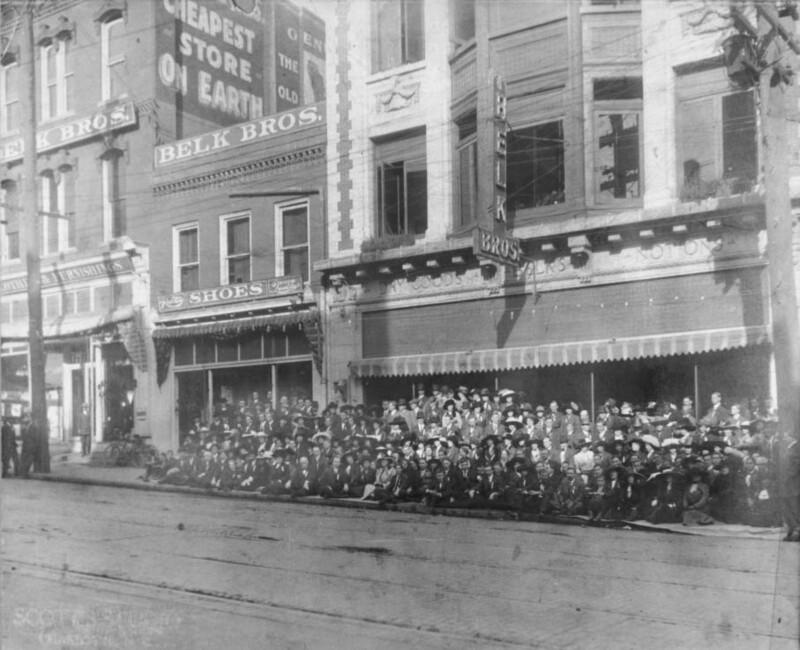 Employees of Belk Brothers in front of the entrance at 119 East Trade Street. Belk Brothers opened the Charlotte store on September 25, 1895. Physical Description: 8x10 glossy, 4x5 negative Publisher: Unknown.